John sees himself as a “brother and fellow partaker” with the Asian Christians in three things which are “in Jesus”. Does this mean that these are part of God’s design for them? Explain your answer. As I mentioned last week, as a teacher, Charlie has few questions and presents limited material so that we can explore the great depths the Bible has to offer. I won’t attempt to go over all that we discussed in class today, but I thought that the “three things” Charlie says John identifies as “in Jesus” were particularly interesting. What three things are we “fellow partakers” in? When I saw those three words together, they just “clicked”. When Jesus died and was resurrected, he inaugurated the very beginning of the entry of the New Covenant into our world. In fact, even before the crucifixion, the central message of Jesus was “the Kingdom of Heaven is near,” as if the Kingdom could burst into our world at any second, even as he was speaking (Matthew 3:2, 4:17, 10:7, Mark 1:15). But even as the Kingdom is entering our reality, it will not reach fruition until the Messiah returns to us as King. We are to live in the present world, we believers that is, as if the Kingdom is already here and as if Jesus were already enthroned in Jerusalem as King Messiah. As D. Thomas Lancaster preached in his Epistle to the Hebrews sermon series, we are freedom fighters or partisans, fighting against the world’s current tyranny, against the brokeness of a world that thinks it’s getting better every day, and fighting for our allegiance to the King, who is steadily coming nearer and soon to return. Until then, we will indeed face great adversity and tribulation, even as the freedom fighters in Nazi occupied France did during World War Two. But we fight for a great cause, and we represent the King’s justice and mercy. We are fellow partakers in this troubled world, in the hope of the coming Kingdom, and we must maintain patient endurance until the Master comes back and establishes his reign over Israel and nations of the world. In other words, it “takes a whole village” or in this case, a whole Sunday school class to properly interpret the Bible. No one of us holds all the keys or can open all the doors to the Word of God, since we’re all apportioned gifts of different types and to different degrees by the mercy of Hashem. That means, we are all fellow partakers in the tribulations, the kingdom, and in perseverance with each other as we are all in Yeshua our Master, the Messiah King and Priest. But I wouldn’t have put all this together the way I have without an understanding of how the New Covenant works and what the Kingdom of God, the Kingdom of Heaven really means (see The Kingdom is Now, Seek First the Kingdom, Thy Kingdom Come, Keys to the Kingdom, and Foretaste of the Kingdom). John’s Revelation, his mystic vision of the exalted Messiah King, is the source of a great deal of mystery and I can’t pretend to understand it all, but I do understand that we have one whose “voice [is] like the sound of a trumpet” as our High Priest. Yes, my Master and Lord. May your Kingdom come soon. Previous PostReflections on Romans 1 and 2Next PostJohn MacArthur: What’s the Biggest Danger to the Church? It sounds as if you should have felt very much encouraged to have other members of the class rallying to support the position that you had espoused, in place of the references you had failed to compile (probably because you were drawing on some familiar conclusions that you had thought through previously). At least they were not sitting there waiting to be spoon-fed a set of canned answers that might well have been derived from faulty traditional Christian assumptions. It seems that Charlie has been successful in getting them to start thinking, which they did after you prodded them from your perspective. Yeah. If it’s one thing I can’t stand, it’s being spoon fed. I just have to watch how far I take the expression of my opinions given the context. Ah, the Ten Sephirot (your main image from pond5.com). Since I was writing about a mystic book in the Bible, I needed a mystic image. Ah, but I wonder if anyone but marko noticed the sephirot image in your introductory stained-glass picture. I certainly paid no attention to it until he called attention to it. Though Yohanan’s vision is both apocalyptic and apocryphal, one would not find within it this particular hechalotistic symbolic representation of HaShem. And I suspect you would need more than one blog topic to supply the background needed for its discussion. Probably, but I don’t think I’m going to go that far at present. The reference to “trumpet” could very well be to a shofar. In Hebrew literature, the sound of the shofar is also associated with; Rosh ha-Shanah, Yom Kippur, Mount Sinai, the Shekinah, Tipheret, Malkut, judgment, and the unification of the Name of G-d.
Reading the book of revelation takes a sound unshakable foundation in Torah and the Prophets. The book is very mystical and very Torah laden. Also something insightful you can share with your sunday school partakers is the actual name of the book. The great prophetic book of the Apostolic Scriptures is called in hebrew Hitgallut, traditionally thought to be written by the shaliach Yochanan while he was in (galut) exile on the Greek island of Patmos, probably around 90 A.D. All the themes of prophetic truth intimated in the Tanach converge in this amazing book, including the Great Tribulation, the judgment of the nations, the restoration of Temple worship, the fulfillment of the messianic kingdom in the restoration of the glory of Israel, the final judgment of Satan (the adversary), and so on. The word Hitgallut means “revelation” or “unveiling” (sometimes the word Chazon, “vision,” is used for Hebrew translation instead). 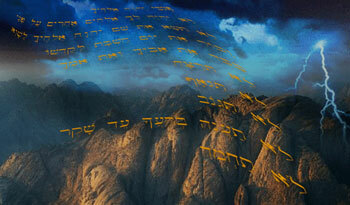 In Jewish thought REVELATION, is an act whereby the hidden, unknown God shows Himself to man. To be sure, this phenomenon belongs to the realm of human reality, but it is experienced by man as coming from God. Phenomenologically, every religion finds its starting point in a revelation. The ancient Hebrews expressed this idea in different ways. The reflexive form, nifʿal, of the verb galah (“to uncover, reveal”), is used only rarely to denote divine revelation (Gen. 35:7; I Sam. 2:27; 3:21). In the biblical tradition, revelation consists less in the disclosing of a secret or a mystery, than in the manifestation of the invisible God, unknowable to man on his own. This view of revelation results unmistakably from the widespread use of the nifʿal of the verbs raʿah (“to see”), and yadaʿ (“to know”), to express in biblical Hebrew the idea of revelation. The word nirʿah, “he let himself be seen, showed himself,” refers originally to a visionary manifestation of God in a holy place. Which is why Yochanan said he was in the Spirit on H” day. The Talmud also speaks of such among sages who were blessed by the almighty to receive such revelation of the Divine H”. Bruce, please keep in mind that I was restricting my commentary to a very small portion of John’s Revelation, so I’m not really bringing out the “big guns,” so to speak, and attempting to fathom the entire mystic writing.